We are a reputed organization, enthusiastically engaged in offering an excellent performing range of Horizontal Flow Wrap Packing Machine. This packing machine is developed keeping in mind the standards of industry utilizing the best grade material latest technology. 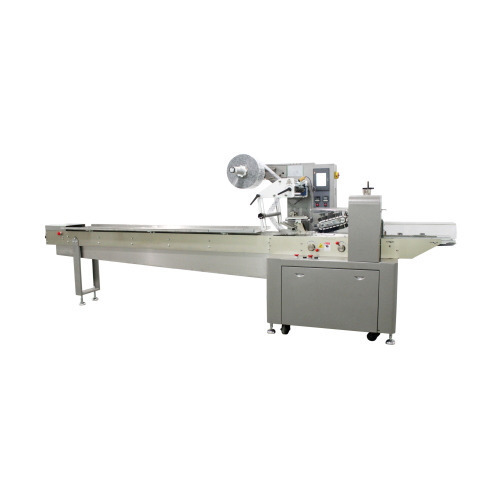 The offered machine is widely used in various industries for wrapping. To wrap any kind of solid commodities such as biscuits, soap, chocolates, candy, soap, tap, gutka, bearing, toast etc.